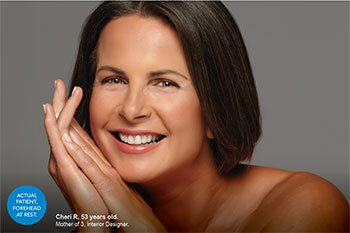 Wrinkles near the eyes, mouth, forehead, and brows can begin to develop at nearly any age. If you’ve begun to notice these wrinkles forming and are looking for a simple, non-invasive procedure that can smooth and soften them, you may want to consider undergoing a XEOMIN® treatment. 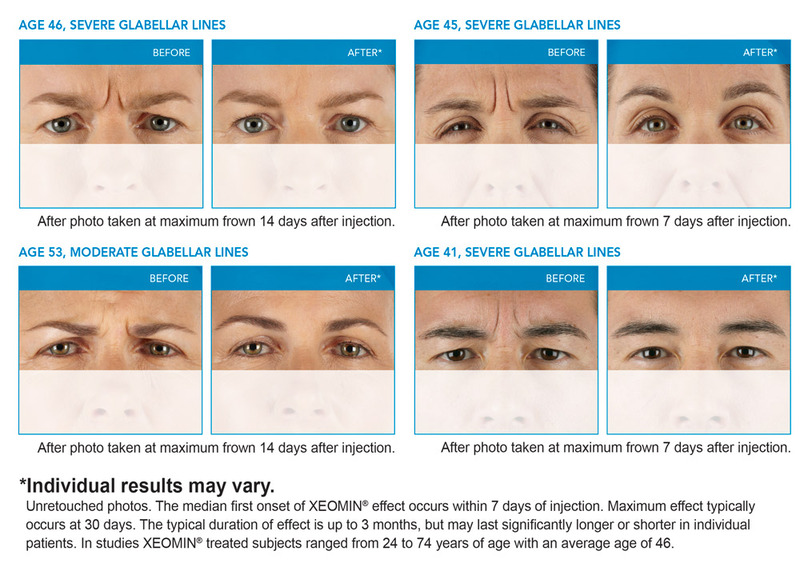 XEOMIN® is an injectable neuromodulator used to target dynamic wrinkles, or wrinkles caused by repeated muscle movements. Because these wrinkles are caused by muscle contractions, they typically form near areas of facial movement. These can include the eyes, forehead, brows, and mouth. Since this product was FDA-approved in 2011, it has been used to address wrinkles in one million individuals in the United States alone. Wrinkles are caused by a collection of complex internal and external factors. These can include environmental exposure, genetic makeup, and diet. But one cause of wrinkles and fine lines that is left unaddressed in many aesthetic treatments is the repeated contraction of facial muscles. Over the course of a single day, each and every person makes countless facial movements when they speak, smile, frown, yawn, or laugh. While these movements are a normal, natural part of the human experience, they inevitably begin to cause wrinkles and fine lines to form in the areas of the face most often moved. During a XEOMIN® treatment, a purified form of botulinum toxin compound is injected into the facial muscles at the site of wrinkles and fine lines. There, it targets these dynamic wrinkles by temporarily relaxing the muscles that contract to cause them. Because this compound leaves the body three to six months after treatment, patients must receive periodic injections to maintain their results. What can I Expect from Treatment? Each XEOMIN® treatment can take between five and fifteen minutes to perform. Following an injection session, patients are able to return to their daily routines. However, it’s important to keep in mind that while downtime is minimal, side effects like bruising, pain, redness, and slight swelling at the injection site are common. The results of each injection session typically last between three and six months. After this period of time, patients will have to receive repeated, periodic injections to sustain their results. Am I a Candidate for XEOMIN®? Nearly anyone suffering from dynamic wrinkles who is interested in improving their appearance through a safe, minimally invasive treatment is a potential candidate for a XEOMIN® treatment.